BHRC has published an open letter to the King of Bahrain calling for a review of the convictions and sentences against Sayed Nazar Naama Baqqer Ali Yusuf Alwadaei, Hajar Mansoor Hasan and Mahmood Marzooq Mansoor. The defendants are close relatives of Sayed Ahmed Alwadaei, the founder of the London based Bahrain Institute for Rights and Democracy (BIRD). Alwadaei was granted refugee status in the UK in 2012 after being tortured and sentenced to six months in prison by a military court. He continues to protest against the Bahraini government, and it is believed that the prosecution of his family are politically motivated. Grave concerns have been raised by lawyers in the case regarding the fairness of the criminal proceedings these three individuals have been subject to, including allegations of evidence obtained by torture being used to convict them. Alwadaei, Hasan and Mansoon were each sentenced to three years in prison on 30 October. In its letter, BHRC reminds the King of Bahrain, Shakh Hamad bin Issa al Khalifa, that the arrest, detention and mistreatment of Mr Alwadaei’s family as a response to Mr Alwadaei’s human rights work is clearly in breach of Bahrain’s international obligations. 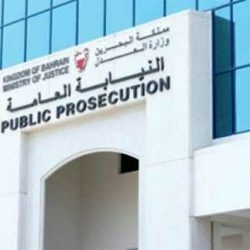 BHRC calls upon the Bahraini government to investigate the allegations of torture as required by international law and to stay the sentences of Alwadaei, Hasan and Mansoon until a full and proper investigation is complete.